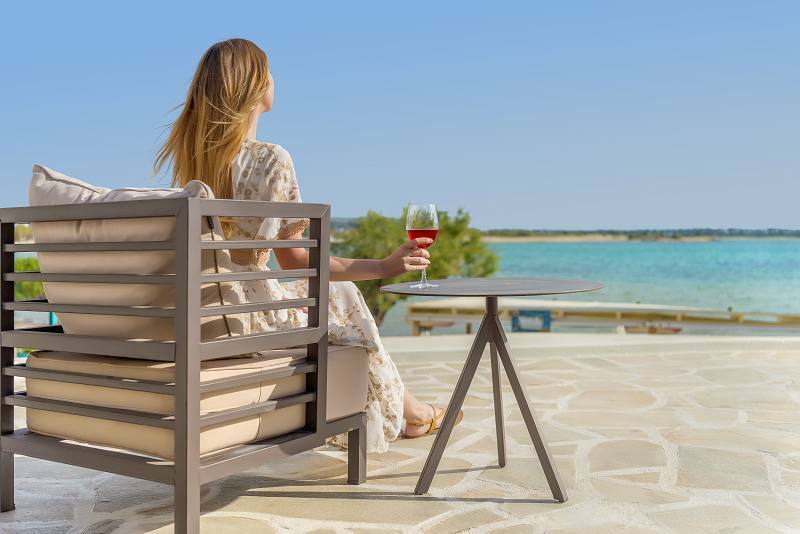 The seaside Nissaki Beach Hotel just few seconds from the beach of Saint George near the Town of Naxos Island features 24 beautiful rooms and suites, a fine sea view restaurant, a bar, a nice pool and enjoys the perfect seaside location. 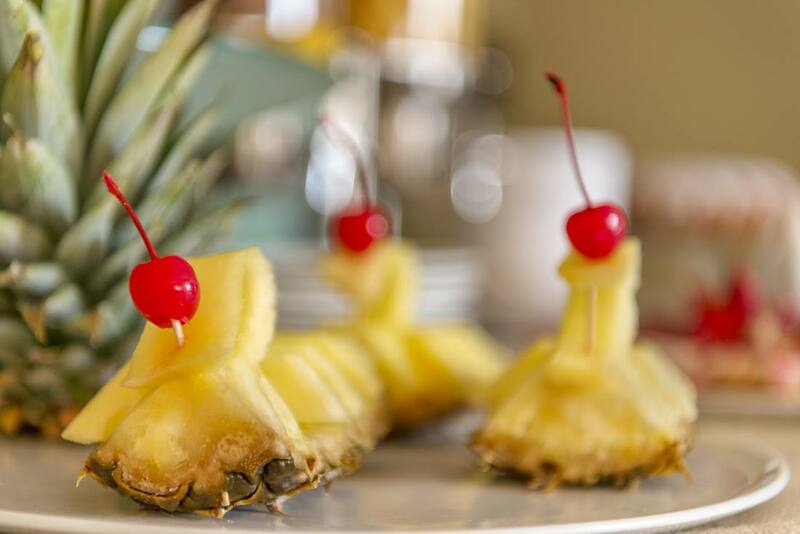 Every little detail in this hotel has been carefully designed in order to meet the expectations of every guest. 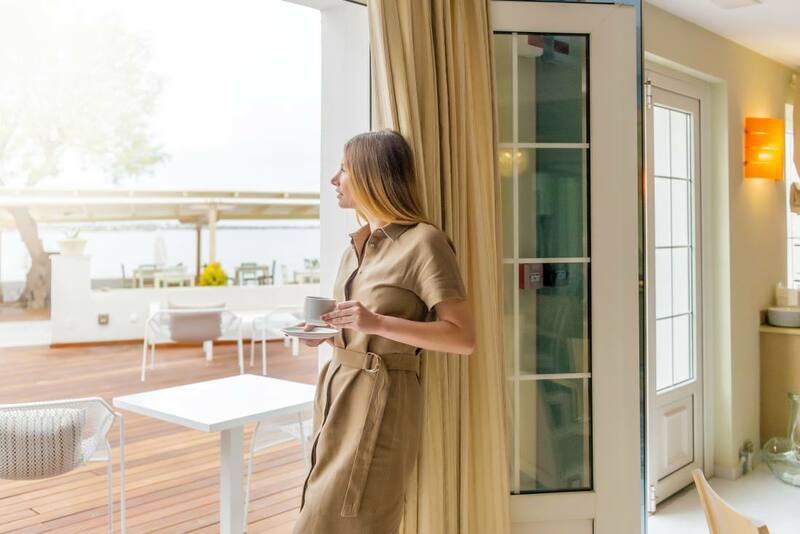 From the well-appointed pool and sea view rooms, to the beautifully decorated common areas and from the meticulously chosen amenities to the superb service, this seaside hotel near the Town of Naxos Island has it all. Naxos Island in Greece is renowned for its agricultural production and Mediterranean cuisine. Fresh and tasty ingredients lead to mouthwatering recipes and dishes that visitors will highly appreciate and enjoy. The seaside restaurant of Nissaki Beach Hotel has the advantage of being near the beach of Saint George, a location that restaurants in Naxos Town would surely envy. The sea view is astounding and the Mediterranean cuisine will impress even the most demanding palates. Fresh fish, lobster spaghetti, seafood delicacies and season salads, all served near the beach and by the waves, allowing the nice, cool breeze to accompany your delightful meal. 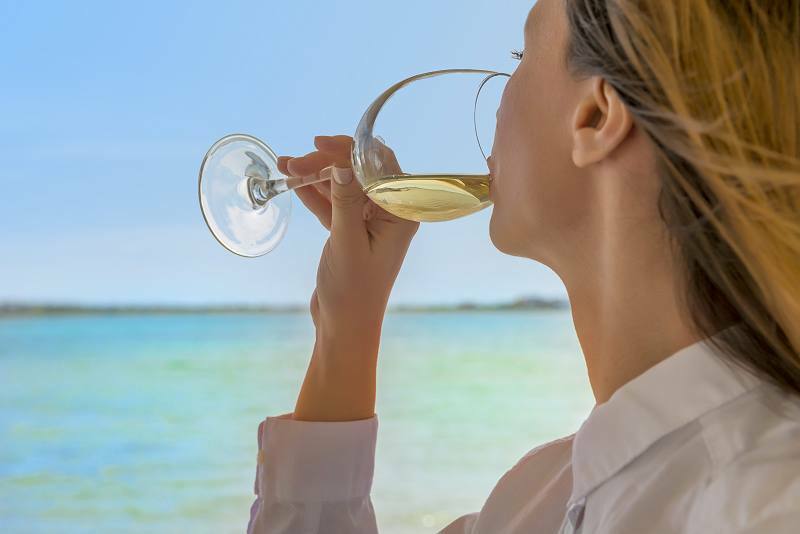 Enjoy lunch or a romantic dinner under the starlit sky and across from the sparkling waters of Saint George and mind to check out our finest selection of Greek wines. This beautiful sea view restaurant is amongst the most popular ones in the area, not only for its fine Mediterranean cuisine, but also for its exceptional service. 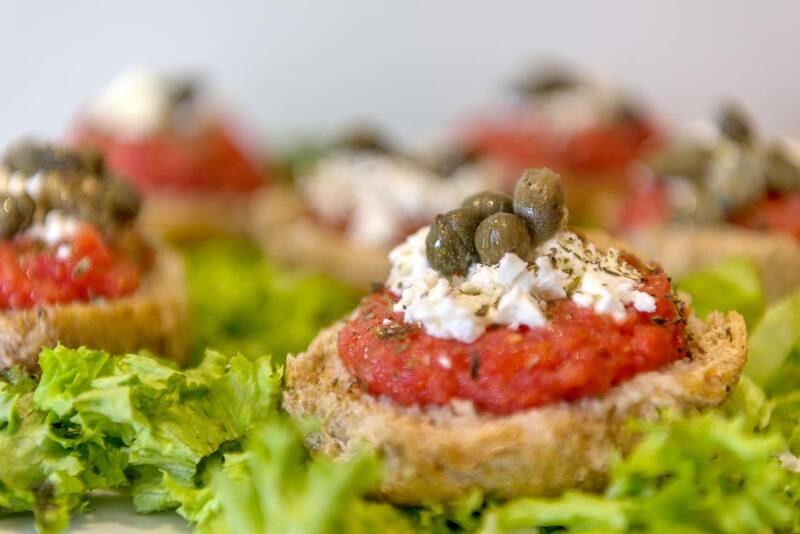 Nissaki Restaurant will undoubtedly be your favorite of all restaurants in Naxos Town! Nissaki Beach Hotel except from featuring a superb restaurant right on the beach, considered amongst the best restaurants in Naxos Town, also has a full bar, that serves beverages, fresh juices and cocktails for all tastes. Refresh your taste at the indoor or the outdoor bar, by the pool or on the organized beach. Soft tunes accompany your sun sessions and your dips in the emerald Cycladic waters that reflect the hot summer sun! Your summer in Greece will undoubtedly be memorable in Nissaki Beach Hotel that provides warm hospitality, exclusive amenities, fully renovated facilities and a professional yet friendly service.